Ed Herbst: Abusing power, victimising the vulnerable. Cape Times and UCT. 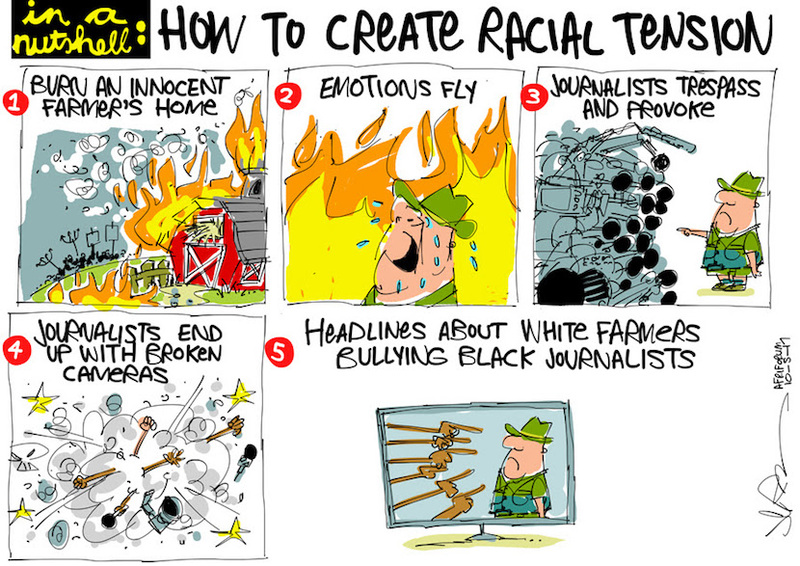 ‘How to create racial tension’. More cartoon magic available at jerm.co.za. One of the basic tenets of ethical journalism is ‘Do least harm’ and, what I call the ‘Milly Dowler Moment’, had a seismic impact on British newspaper journalism – it saw the closure of the News of the World. The British public has long tolerated the invasion of privacy which ‘celebs’ suffered at the hands of a toxically-competitive tabloid press but all that changed during the Leveson Inquiry. With increasing revulsion they heard of how Harry Potter author, J K Rowling, had become a prisoner in her own home. She was one of many who became victims of this egregious and ubiquitous abuse of media power and influence. I was reminded of this concept of ‘Do least harm’ when Julian Assange had his internet connection in the Ecuadorian embassy cut late last year. That evening Christian Amanpour interviewed Alex Gibney, who had made a documentary on Assange, “We Steal Secrets: The Story of WikiLeaks”. The essence of Gibney’s response to Amanpour’s questions was that Assange is a man driven by pique and that, by not redacting most of his leaks he had victimised the vulnerable and abused his media power by unnecessarily exposing innocent people to danger. 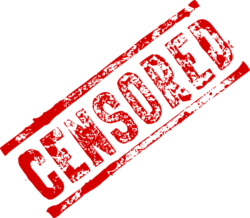 Redacting, – obscuring part of the text either by a black line or a blank space or simply omitting has, in media terms, two basic goals – it can alert the recipient of the information to censorship or it can be used to protect the vulnerable. In our newspaper history the black line was most famously used by the Mail & Guardian on 26 June 1986 during the P W Botha-imposed State of Emergency. The front page lead, which was full of black lines, was headlined ‘Our lawyers tell us we can say almost nothing critical about the Emergency – But we’ll try’. The cover of the book You have been warned – the first ten years of the Mail & Guardian by one of the founders of the newspaper, Irwin Manoim, testifies to the use of redaction to expose censorship. 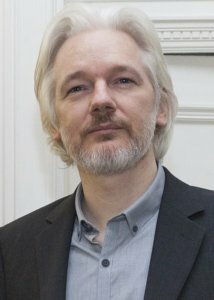 But there is a gentler, empathetic and merciful use of redaction which speaks to that basic tenet of ethical journalism – Do least harm – and it was the absence of this form of redaction in most of the Wikileaks which Alex Gibney suggested was an abuse of power and a victimisation of the vulnerable by Julian Assange. 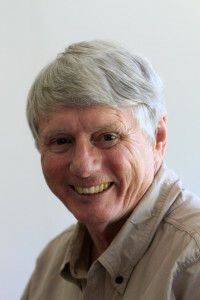 I would argue that the criticism that Gibney levelled at Assange could also be levelled at Aneez Salie, editor of the Cape Times, a once-respected newspaper, in the context of its venomous, lying campaign against the University of Cape Town and its white staff. 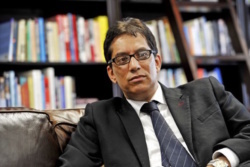 It will be recalled that, at a meeting of the UCT Association of Black Alumni (UCTABA) hosted in the Kramer Building at the university on 7 April 2015 the owner of the Cape Times, Iqbal Survé, effectively called for white staff to be driven out of the university. Having already met the Fallists in his suite at the Cape Town Jazz Festival, Survé also assured them of his backing in this context by proffering the support of his ‘resources’. The consequences were tragic for all of us. One of the victims of the nefarious Cape Times campaign to ratchet up ethnic hatred against whites is a young student, Chad de Matos, who was targeted because he was a white and a UCT student and, although entirely innocent of any criminal act, was paraded before the public in the pages of the Cape Times as a viciously-racist, potential murderer and jailed in one of the world’s most dangerous prisons, Pollsmoor in Cape Town. You can read about his ordeal here. This article, though, is about another victim of the anti-white and anti-UCT campaign by the Cape Times and it relates specifically to the use of redaction to minimise harm and the accusation by Alex Gibney that the failure by Julian Assange to redact the majority of Wikileaks to avoid exposing innocent people to unnecessary harm was an abuse of power and victimised the vulnerable. 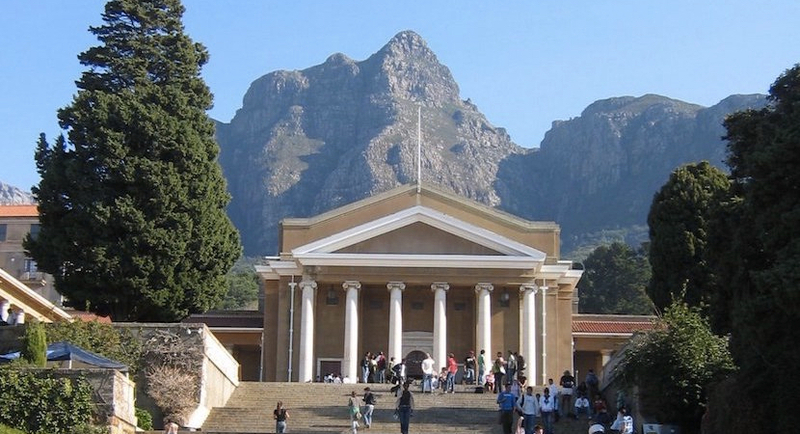 After UCT started a disciplinary process against the faeces flinger, Chumani Maxwele, for ethnically abusing and roughing up a middle aged, white female lecturer, Maxwele instituted a counter claim. On 12 May 2015, an article by Carlo Petersen and Lisa Isaacs and edited by Aneez Salie, appeared in the Cape Times. In the article Maxwele alleged that he had been the victim of vile racial abuse by this woman without producing a shred of corroborating evidence or a single witness to validate his claim. If you have turned the newspaper you edit into a weapon of ethnic hatred and you don’t want the facts to interfere with a good white-baiting story, then you don’t bother with time-proven tenets of ethical journalism like ‘When in doubt, leave out.’ Ask Chad de Matos, he’ll tell you. 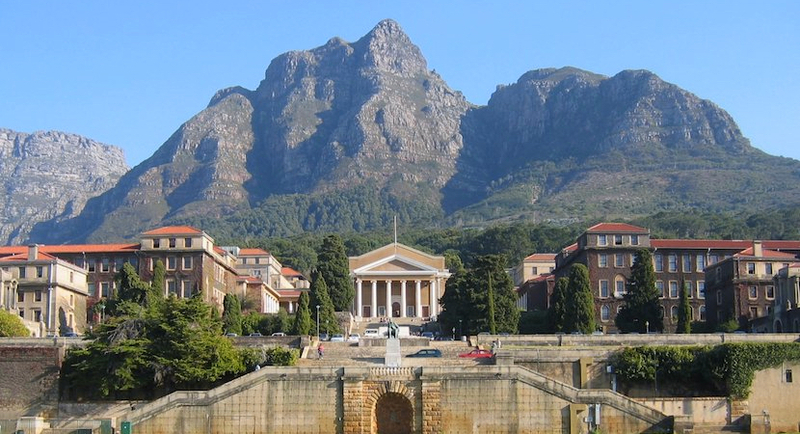 UCT had requested that, in the absence of corroborating evidence or witnesses and out of concern for the safety of the woman, her name should be not be revealed. Nothing has come of Maxwele’s court threats against this woman because they were devoid of truth but Salie, determined to do maximum harm against white people at UCT (as was the case with Chad de Matos), published her name anyhow in one of the most prominent places in a newspaper – his editorial – as well as publishing Maxwele’s statement in full. Just as Alex Gibney in his interview with Christiane Amanpour suggested that Julian Assange’s failure to redact in many of his Wikileaks was guilty of abusing his power and victimising the vulnerable so too, in my subjective opinion, would I argue that Aneez Salie is guilty of abusing his power and victimising the vulnerable in failing to redact the name of the UCT lecturer. Unlike the Cape Times, the news that Chumani Maxwele has appeared in court was not withheld from readers of Die Burger. There was no obligation upon him to name her in his editorial, specifically given the fact that she had already been traumatised by a man who has been photographed assaulting a woman, been held overnight at the Woodstock police station after a violent altercation in which property was damaged and captured on CCTV in acts of arson on a night when the Jammie Shuttle bus was torched and the office of Dr Max Price firebombed – part of a High Court judgment which was withheld from readers, in a nefarious act of censorship by omission by the Cape Times and a subsequent SCA judgment. Furthermore, although the allegations by Maxwele were given maximum prominence in the Cape Times, a responding letter from UCT was given far less prominence and buried at the bottom of the page in the middle of the newspaper. 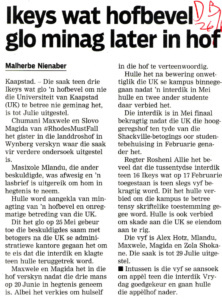 She adds that Maxwele’s charge occupied a full page, yet the UCT’s letter was “hidden away” at the bottom of page 8. Thereafter, so I am told by friends on the UCT campus, the maths lecturer experienced such a level of harassment that she was booked off with stress leave and UCT substantially increased the security around her office. I also agree that it was unfortunate that the lecturer was identified – but “unfortunate” is not by default a breach of the Press Code. In this case, Maxwele was in the center of a matter that was in the public interest, and the lecturer herself was a public figure. Some UCT lecturers have deliberately created a high public profile. Professor Pierre de Vos has done this through his articles on legal aspects of the Constitution in his blog and through articles on Daily Maverick. Professor Xolele Mancgu has drawn attention to himself through his routine abuse of white restaurant staff. Nobody outside her specific discipline at UCT, however, had heard of the maths lecturer who found herself in the wrong place at the wrong time and suffered the abuse and threats of Maxwele whose patriarchal misogyny and arson are a matter of public and court record. If Retief’s contention that she is a public figure is correct, then anyone who has ever stood in front of students in a lecture room is a public figure and that is manifestly absurd. I need to state that I am disappointed in Salie’s laissez-faire response to the complaint about the front-page lead. He merely said that the (particular) story did not identify the lecturer, and on that basis dismissed an important part of the complaint – there was more to the complaint regarding that story than the identification of the lecturer. Had UCT appealed against the dismissal of the UCT complaint against the Cape Times by the Press Council, I have no doubt that the appeal would have been upheld. It did not do so, I was told, because the very logical fear was that this would provoke further assaults on the maths lecturer. The fact that when the university raised concerns about the safety of this middle-aged woman, it was immediately accused by the courteous and chivalrous Aneez Salie of racism, testifies to the validity of that fear. This followed a call by Salie’s employer, Dr Iqbal Survé, for a purge of white staff at UCT and a subsequent vendetta against UCT in general and Dr Max Price in particular which was made a matter of academic record through the research of UCT honours student, Ricky Stoch. Her findings, for obvious reasons, have not been challenged. Iqbal Survé, head of Independent Media Group. And to what extent do the Cape Times, Iqbal Survé, Aneez Salie and Carlo Petersen claim responsibility for the subsequent billion rand plus damage to university infrastructure and vehicles, the various attempts to murder security personnel working on university campuses, the constant assaults by Maxwele among others on staff and students who wished to study, the disruption of the examination preparations of tens of thousands of students countrywide, the pervasive looting, the assaults on media personnel, the destruction of private property, the desecration of a memorial to 823 black soldiers who met their fate with extraordinary bravery in the sinking of the SS Mendi in 1917, the constant expression of ethnic hatred and the reputational damage to the country? And to what extent does the Cape Times claim responsibility for the continuing and current campus unrest which News 24 journalist Jenni Evans now describes as ‘the new normal’? 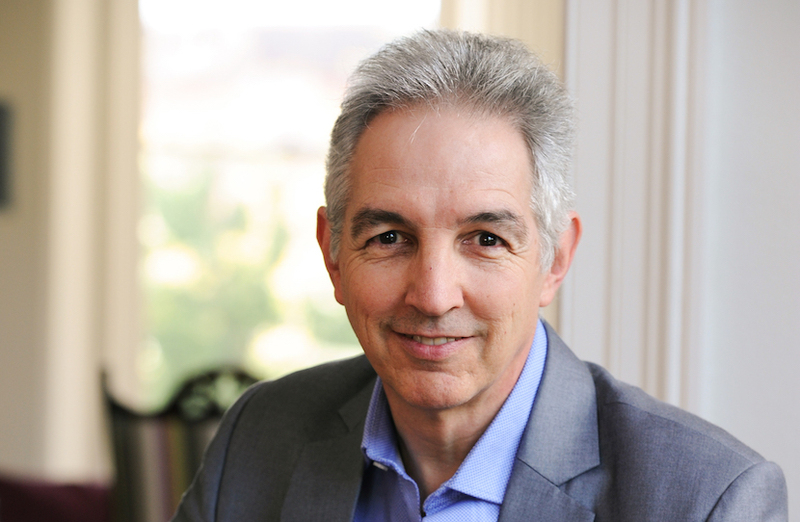 ‘What appears to be a highly personalised pursuit of a university vice-chancellor by the owner of a newspaper and his editors and reporters is unusual even by the erratic standards of political reporting in South Africa. Chad de Matos, Dr Max Price and the mathematics lecturer are just some of the UCT victims of the Julian Assange-type pique to which the university was exposed after Dr Iqbal Survé promised the Fallists his support and the support of his ‘resources’. Ultimately, however, we are all victims of that pique when one considers the reputational damage suffered by the country as The Economist headlines the burning of paintings and a generation of students already hobbled by the ANC’s education system – rated as one of the worst in the world – face further, unnecessary impediment to their tertiary studies. The celebrities in Britain who were targeted by predatory newspapers which had prostituted the ethical tenets of their profession found some measure of respite and comfort in the Leveson Commission. There is no such comfort here – as Cyril Ramaphosa found when he was targeted by another of Dr Iqbal Survé’s newspapers, the Sunday Independent which is working together with that pillar of ethical probity, Kenny Kunene. If you want an example of the extraordinarily sinister way in which editor Aneez Salie has manipulated what appears in the Cape Times to benefit the Fallist cause and to undermine the white academic UCT staff attacked by his boss, Dr Iqbal Survé, on 7 April 2015, then read Professor David Benatar’s article on Politicsweb. The same is true of those letters that defended me against personal attacks. Even in the print version of one of these letters a sinister edit was made. After Xolela Mangcu accused me of racism, my colleague, Dr. Elisa Galgut, wrote a letter in my defence. The editors saw fit to edit out her claim that “Professor Benatar opposes unfair discrimination of all kinds” – the only deletion they made to her letter. In other words, after allowing article upon article to make scurrilous accusations against me (sometimes highlighted in the articles’ headings), they deleted the few words to the contrary from somebody who actually knows me. What these examples of the abuse of media power and influence to victimise the vulnerable show is that not only was ethical journalism abandoned when Sekunjalo took over the Independent News Media Company with a R1.2 billion and counting civil servant pension fund loan which seems unlikely to be repaid but so, too, was truth. 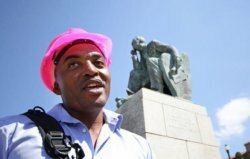 What is deeply troubling is the way in which the Cape Times has manically sought to ratchet up hatred against the country’s white citizens – something unprecedented in the country’s media history – and Chad de Matos, Dr Max Price and the UCT maths lecturer are the most tangible victims of that. They are not alone. If the ANC-supporting Cape Times is anything to go by, the ruling party is using the race card to shore up its support in the upcoming local government elections. Today it carries a front-page headline ‘Govt K…rs, black f-king c..s’. It is an inflammatory headline which would embarrass former editors like Tony Heard, John Scott, Alide Dasnois, Tyrone August and, hopefully, even Moegsien Williams. One knows that newspapers of this ilk, like to use the populist ticket to sell their products, but today’s headline stoops to new depths. What, then, is one to make of Surve’s recent claim in the context of yet another Fake News article from INMSA – the first and only occasion that he has apologised for the routine publication of such Fake News articles by his company’s newspapers – on this occasion because the article upset the ANC ? … we expect our journalists, including freelance journalists, to have the highest ethical standards and to at all times ensure that the news reported is accurate and is able to withstand scrutiny, so that our readers have confidence in both our print and online publications.